Navigate to the setup file and open setup and click on setup icon which opens the below screen. 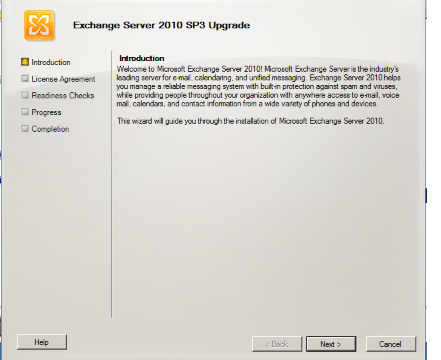 Now click on the Install Microsoft Exchange server upgrade. 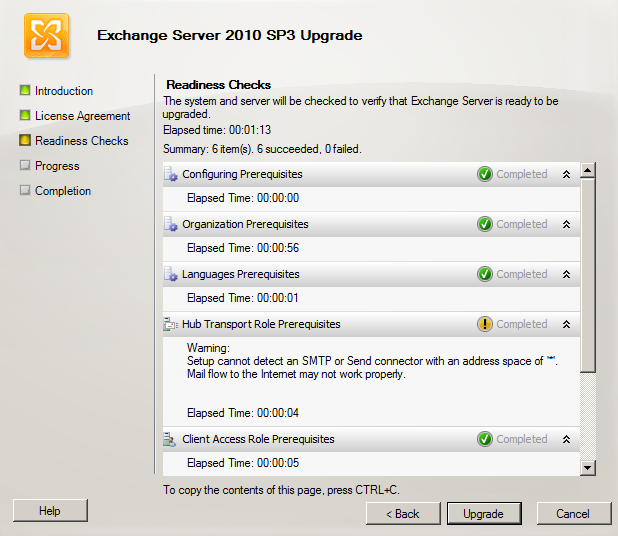 During the readiness check you might run into this error as shown below if you are upgrading from Exchange 2010 SP2 earlier versions to Exchange 2010 SP3. 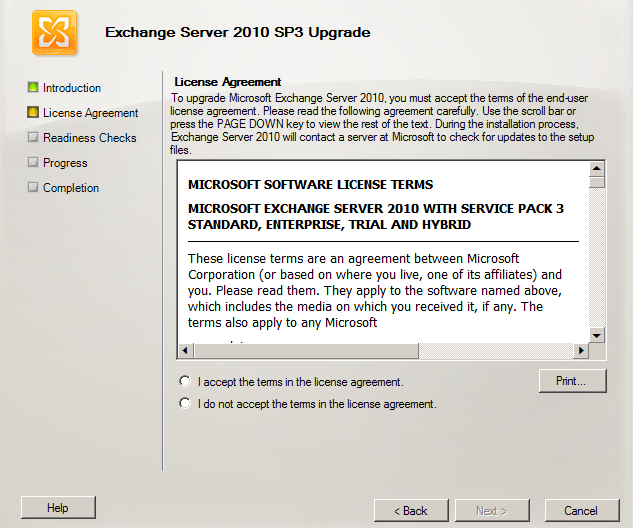 Note: If you are upgrading from Exchange 2010 Sp2 and later rollups version to Exchange 2010 Sp3 you will not come across the below error and you can proceed with the upgrade. Reason why we require this feature to be installed. 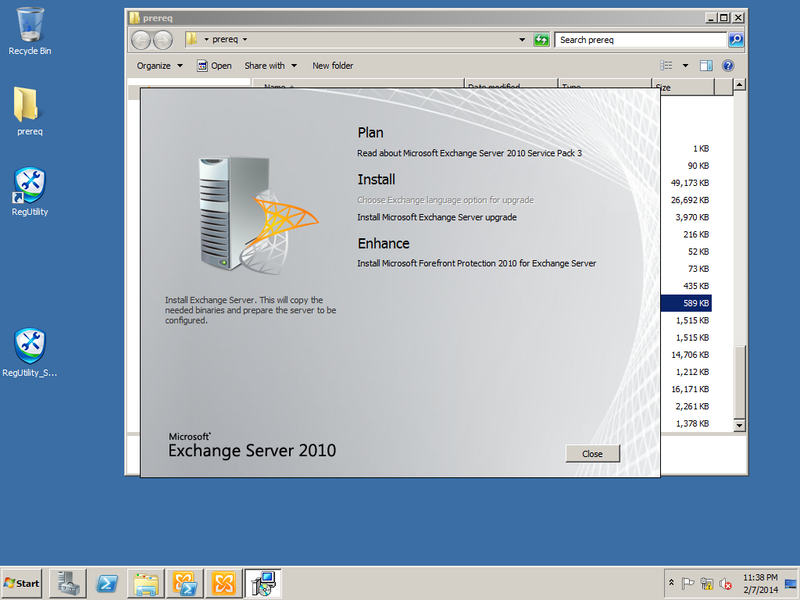 Install the IIS6 WMI compatibility. Rerun the setup and readiness check will be successful. Now click on upgrade and the setup will be successful. 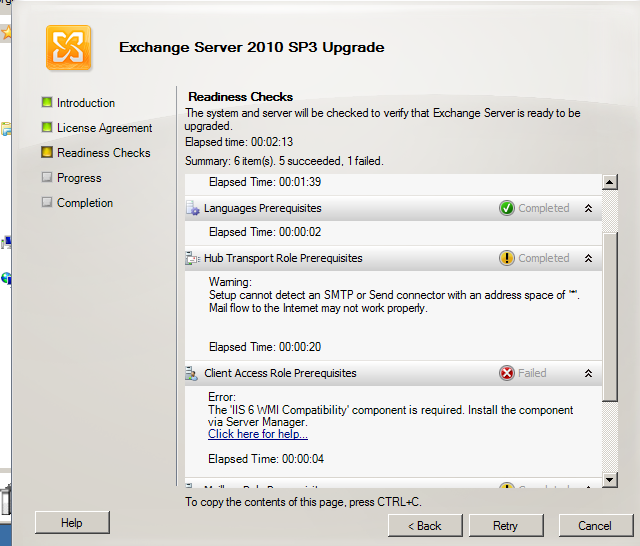 Once upgrade is completed you just need to click on Finish and reboot the server which completes the SP3 installation.